Rolling over your employer-sponsored retirement plan (401(k), 403(b), 457, etc.) is not as easy as it used to be. After-tax contributions, company stock, Roth contributions, employee vs. employer contributions, and more can make the process a little more involved. Mistakes could involve unwanted tax withholding or commingling pre-tax and after-tax contributions that will have to be tracked on your tax return as long as you have the account. Make sure you know what you’re doing or seek professional assistance to assure the rollover is done properly. Some mistakes cannot be undone. Rolling over a pension to an IRA has its own set of rules too. Follow these steps, financial advisers say, and you’ll get this task done smoothly, quickly, and accurately. 1. Determine your rollover options. 2. Determine if your account contains after-tax contributions. A 2014 IRS ruling, provides a path for rolling over any after-tax money in an employer-sponsored plan, such as 401(k)s and 403(b)s, to a Roth IRA. Employees with after-tax money in these plans can take a complete distribution and direct the plan administrator to send pre-tax dollars to a traditional IRA or another plan and roll the after-tax contributions into a Roth IRA tax-free. There are only a few rules to follow to do the transaction properly. The transfer of after-tax and pre-tax money must be done at the same time. The taxpayer must instruct the plan administrator that the after-tax money is to be sent to a different account. This will avoid commingling the funds in an IRA and the requirement to track balances when distributions start. 3. Does your account contain employer stock? Employees who own their employer’s stock in their 401(k) plan have the potential for huge tax savings by using an often-overlooked tax strategy known as net unrealized appreciation (NUA). Employer stock can be rolled to a non-retirement account without penalty and pay tax only on what they paid for the stock at the time of distribution. Any appreciation will be taxed as capital gains when the stock is sold. This could be a huge tax advantage if the stock has appreciated. The rules are more involved and the American Taxpayer Relief Act of 2012 and Obamacare’s Medicare Surtax of 3.8% on net investment income have reduced the appeal of NUA for some taxpayers. See “5 Steps to a Successful NUA transaction” to learn details about this technique. 4. 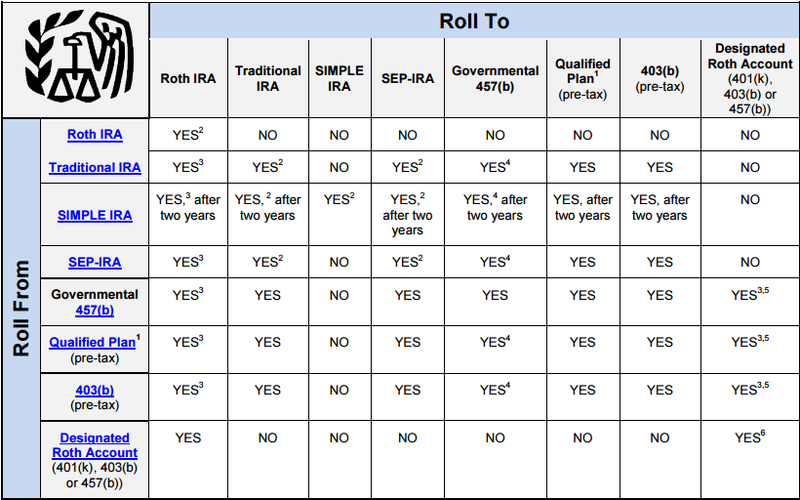 Determine if you want to roll to an IRA or to your new employer plan. If you plan to rollover to an IRA, you need to establish an IRA with a custodian if you don’t already have one. If rolling over to your new employer’s plan, make sure the plan accepts rollovers. 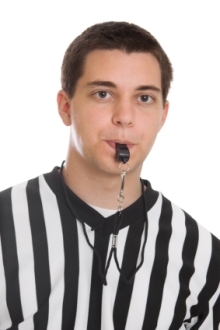 Not all employer plans permit rollovers. Check with your plan administrator to determine the process and requirements. There may be benefits to rolling to your new plan including, but not limited to, potentially earlier access to your retirement funds without paying a penalty. 5. Initiate the process through your old plan. Your former employer provides the forms needed to request a distribution. The form allows you to elect the type of distribution and name the IRA custodian. Some employers allow you to do all of this online or over the telephone instead of using a form. Your financial adviser can help you with this transaction to make sure everything is done properly. 6. Verify the amount received by the IRA custodian or your new employer plan is correct. You will need to invest the funds when rolling into a self-directed IRA. Rollovers to a new employer plan will follow the investment election you established when you first opened the account. 7. Make sure the transaction is reported properly to the IRS. Rollovers done properly are not taxable in the year completed but they are reportable. Don’t panic when you receive a copy of Form 1099-R from your employer for the full amount of the rollover. Box 1 will show the total amount of the distribution. Box 2a shows the taxable amount of the distribution. This amount should be zero for a direct rollover. Box 7 should contain the distribution code “G”. This tells the IRS exactly why your retirement money was taken out and that the money was never in your hands. A rollover may present numerous tax saving strategies that could be lost if not handled properly. A rollover may not even be the best option depending on your age and circumstances. Seek the help of a qualified retirement planner to make sure you’ve considered all options available to you before initiating a rollover. The type of employer plan you have will determine what rollover options are available. Rollovers are more complicated today because of after-tax contributions, Roth 401(k)s and employer stock. Not all employer plans accept rollovers. Verify acceptance and the process before attempting a rollover from a former employer.